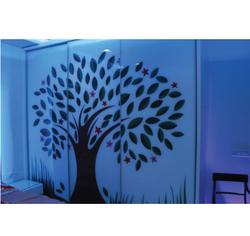 Leading Manufacturer of designer lacquer glass from Noida. Ours is an illustrious organization that is engaged in manufacturing and supplying optimum quality Designer Lacquer Glass . Designed and manufactured using high-quality material, the offered products are in compliance with international quality standards. To cater to the diverse requirements of customers, we offer these products in a spectrum of sizes and colors at industry leading rates. Looking for Bulletproof Glass ?